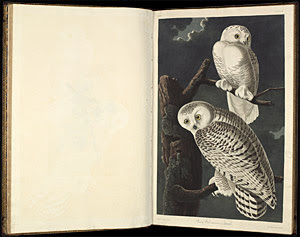 I enjoyed very much reading your biography of John James Audubon. It was especially interesting to me because I also researched and wrote a biography report about him when I was in elementary school. After writing the report, I went on to pursue earning a Girl Scout badge that had to do with bird - watching. This is still a pastime that I still enjoy today. Whenever I am hiking or camping, I take my binoculars and look for birds that I can identify. In my backyard, where I have many feeders and birdbaths, I often observe a variety of feathered visitors. I regularly see scrub jays, goldfinches, and white - crowned sparrows. Recently I have spotted a few hooded orioles, which I have learned nest in Southern California's palm trees. Thanks for sharing your informative report! It sounds like you are learning so many fantastic things. We can't believe you got to see a skunk! That is not something we have ever seen of course! So it is not long until your school year ends! We have loved being your blogging friends too. We hope the students continue to look at our blog when they are in their new class! We also hope they have fun playing on the sites we have listed on our blog. Happy birthday for next week Mrs Yollis! !